2002 Result: Henry wins 43.27%-42.61%. 2006 Result: Henry wins 67%-33%. Prior to the 2008 elections, Republicans had never controlled the Oklahoma Senate. If Republicans win the race to replace Governor Brad Henry and maintain their majorities in the state house and senate, it will be the first time in history they control both the executive and legislative branches in the Sooner State. 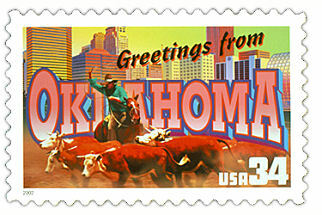 6) Oklahoma – The contest to replace term-limited Democrat Brad Henry has drawn top-tier candidates from both parties. Henry’s popularity in one of the most Republican states in America (Oklahoma was the only state in the Lower 48 in which every county voted for John McCain) is a testament to his ability to garner support from across the ideological spectrum. Despite Oklahoma’s bright scarlet red on the national map, the key to statewide election victories is winning the support of the growing number of independents in the state. But the Sooner State is likely to see a Republican win the Governor’s Mansion in 2010. If that happens and they maintain their legislative majorities, it will mark the first time in history the GOP controls both the legislative and executive branches in the state. On the Republican side, Congresswoman Mary Fallin is the frontrunner, but state Senator Randy Brogdon has been making noise among the conservative activist base. While he may only have a remote chance of winning the GOP nod, he could cause Fallin problems on her right. Aligned with the “birther” movement, Brogdon is working to harness the anger and energy of the Tea Party movement in his bid to win the GOP nomination. The two Democrats vying for their party’s nod, Lt. Governor Jari Askins and Attorney General Drew Edmondson, have both proven their ability to win statewide elections. Either Democrat will have to overcome what many analysts believe could be an Obama backlash undermining Democratic candidacies in the increasingly Republican state. A May 2009 poll (pdf) conducted by Public Policy Polling showed Fallin with a comfortable double-digit lead over both potential Democratic rivals. An internal Fallin summer poll recently made public echoed these numbers. But her election is far from assured. If Brogdon manages to drag Fallin too far to the right (if that’s possible in Oklahoma) it could open the door for the Democrats to win in November. As the least ideological of the three major candidates, Askins might be the logical heir to the outgoing Henry.